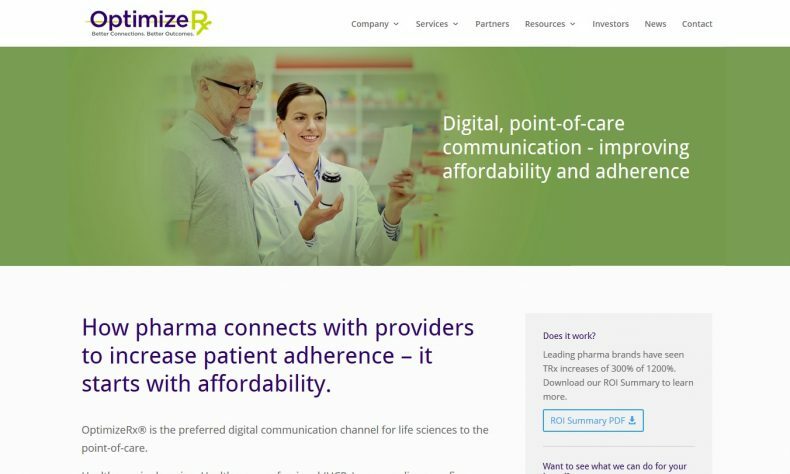 ROCHESTER — OptimizeRx Corp. (NASDAQ: OPRX), the Rochseter-based provider of digital health messaging for the pharmaceutical industry, announced a new partnership with Birmingham, Ala.-based IllumiCare Inc., developers of technology that provides patient information to health care providers. IllumiCare’s Smart Ribbon platform will feature a new app from OptimizeRx, the RxSavings App, to present drug savings opportunities — such as co-pay offers and vouchers — that providers and the clinical care team can distribute to the patient directly at the point-of-care. OptimizeRx officials say recent surveys show that rising drug prices and drug shortages have hit hospitals, forcing hospital staff to spend time searching for substitute treatments, which can delay patient procedures and other services. The report noted that alternatives are often also more expensive than usual care. The RxSavings App launch is planned during the second quarter of 2019. IllumiCare is EHR-agnostic and has integrations with Epic, Cerner, Allscripts, Meditech and others. Known for providing cost and risk data to physicians directly at the point-of-care, the Smart Ribbon is customizable to every hospital’s needs. It displays a variety of apps based on context and user that illuminate opportunities to reduce overutilization and enable providers to be better stewards of hospital and patient resources. The technology is live across more than 120 hospitals in the United States.